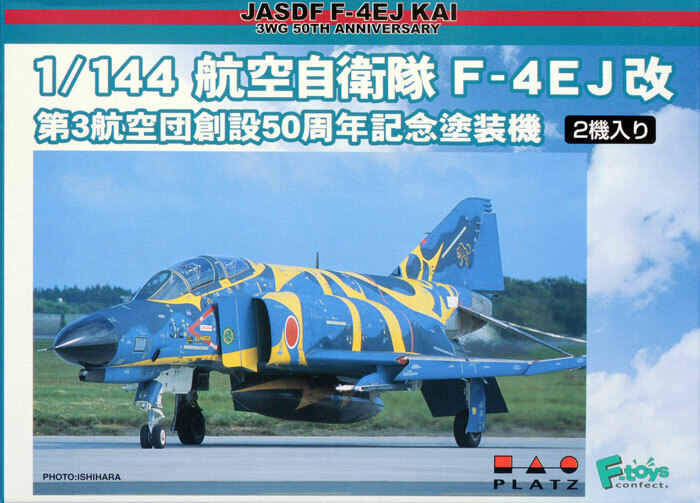 Catalogue Number: Platz kit number PF-15 - JASDF F-4EJ KAI Phantom – 3WG 50th Anniversary. 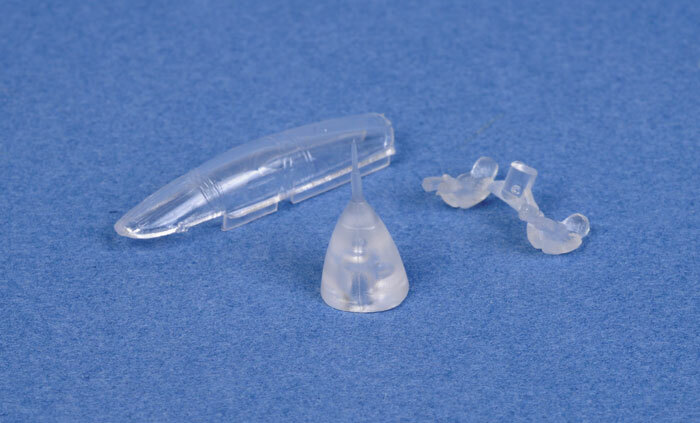 Contents and Media: 50 parts in grey plastic; six parts in clear plastic; decals for two marking options (i.e. one for each model). Advantages: Two full kits with two colourful marking options; fine recessed panel lines; simple build. Conclusion: Two well detailed models wearing wild finishes. Platz has released a 1/144 scale F-4EJ Phantom of the Japanese Defence Force in colourful 3 WG 50th Anniversary markings. 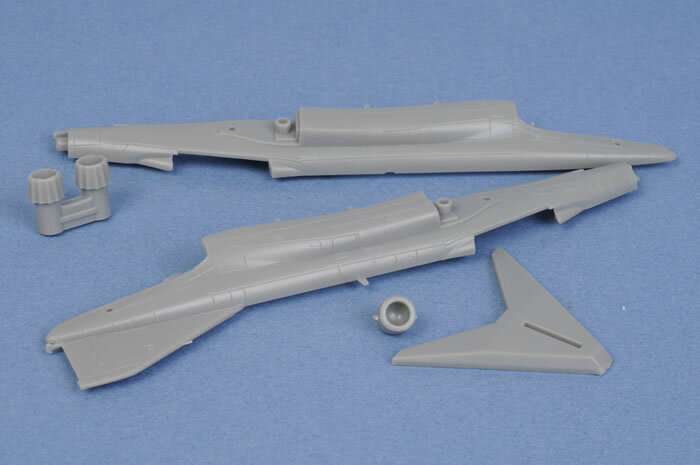 The package contains two complete aircraft models. 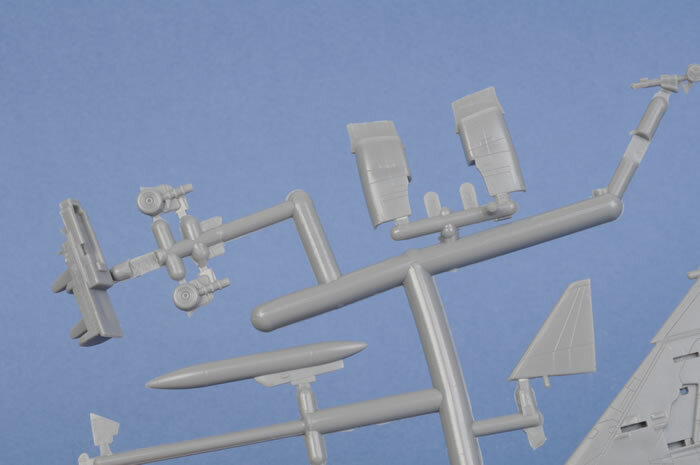 The kit features excellent detail for 1/144 scale and looks as though it will build into an accurate representation. The crisply recessed panel lines are very fine and do not look out of scale. The cockpit has an acceptable level of detail. Transparencies are commendably thin and clear. 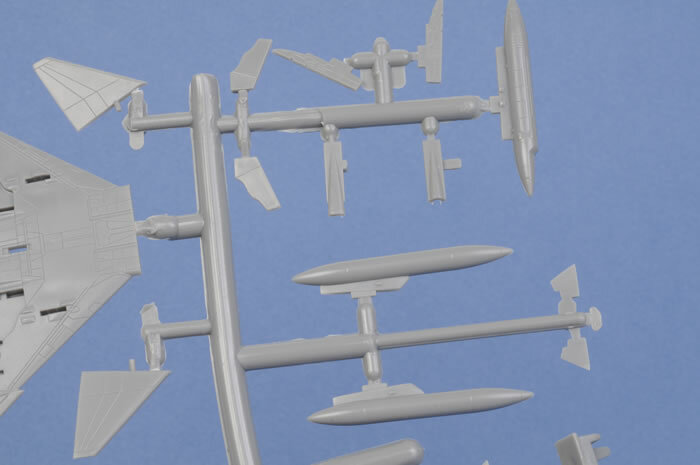 No weapons are supplied, but the two wing drop tanks and wing pylons are included. The decals are superbly printed by Cartograf of Italy. They have good colour saturation and are in perfect register. The carrier film is ultra thin. My experience with this type of decal is that they will snuggle down into the surface detail well but they will need to be handled carefully. The carrier film then almost totally disappears under a coat of clear. The detail in the data decals is finely printed. The instruction sheet is printed in black and white but a colour guide is printed on the back of the box and gives good indication for decal placement. F-4EJ KAI 37-8312 of the 3rd AW of the 8th TFS. The aircraft is finished in the scheme of FS 35042 Sea Blue and FS 35164 Intermediate Blue upper surfaces and FS 35164 Intermediate Blue lower surfaces with a Black radome. The aircraft has a yellow outlined pattern over the entire upper surfaces. F-4EJ KAI 47-8324 of the 3rd AW of the 8th TFS flown by LTC M. Kuroha. 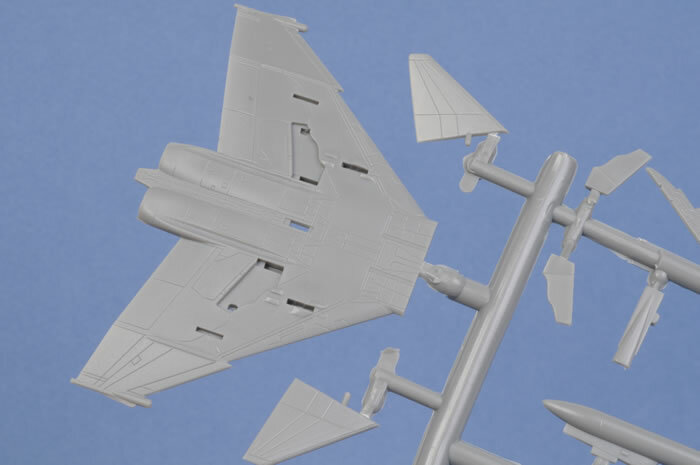 The aircraft is finished in the scheme of FS 36320 Dk Ghost Grey and FS 36375 Lt Ghost Grey upper surfaces and FS 36375 Lt Ghost Grey lower surfaces with a Black radome.